In a competing world that ideas come, evolve and reach the peak of their evolution, our idea unfortunately reached part of its peak, yet failed to compete with its rivals which had more resources and supporters. Unfortunately, we have to inform our loyal users that PortalPanel is planning to terminate its services soon. It would only be fair to our users, if we give them enough notice so that they could either move to other similar services or save their information somewhere as they would not be accessible from 31.07.2015, 1200 midday EST. We are really sorry for any inconvenience that this might cause for our users and would be grateful if you could help us with your feedback and tell us what we could have done different to improve our services and compete with our resourceful rivals. PortalPanel came out of a genuine need for an advanced online bookmarking application that allows users to have access to their favourite websites on the go. With an increasing number of users using and joining this service, expectations increase as well. PoralPanel users have so far been able to organize and save their favorite websites in as many folders as that they wanted. 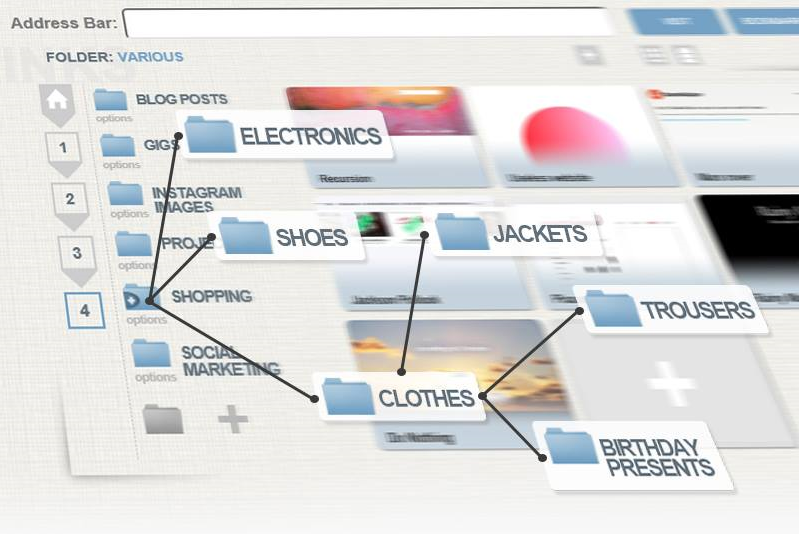 This meant that users could virtually create an individual folder for any subject of interest. They could then save, move or copy links to their favorite websites in those folders. While there are never two completely identical subjects anywhere, there are many folder subjects that share a common theme and nature. Imagine that you have several folders for your YouTube links. One dedicated to your favourite music clips, and another to your favorite funny clips. With the former version of PortalPanel users had to create two individual folders for each theme. This resulted in users creating tens of folders that could through time cause a bit of confusion. The new version of PortalPanel has solved this problem by incorporating the subfolder structure in to the already existing structure. PortalPanel is more than one year old but last year was the year when PortalPanel got out of its cradle and could take some major steps towards maturity. At the beginning of 2013, PortalPanel started to offer its users a professional bookmarking service. This service even in its primary form was appraised by many users to be a very powerful online bookmarking tool. PortalPanel bookmarking service went through some massive improvements, a few of which went undetected by some users. Adding the ability of watching You Tube and Vimeo clips on PortalPanel environment was one of them. This ability helped users to have their own list of favorite You Tube and Vimeo clips without the need of opening a new account on YouTube or Vimeo. PortalPanel also offered smart link recognition service. This service allowed users to check updates of specific items on eBay and Amazon without the need for direct click on these websites. PortalPanel used the same service to allow users to save links from IMDB and Rotten Tomato as well. How to create an Instagram album On PortalPanel. With an amazing number of over 150 million members and even more than that viewers, Instagram became another jaw dropping phenomenon on the Internet and social networking arena. Instagram connected every single picture to a single web link and uploaded that instantly on Internet to be viewed by a vast network of people. PortalPanel recognized that users cannot always be logged in to their Instagram account. Therefore there was a need for them to be able to access their photographs whenever they wanted without the need of being on Instagram. So what is better than having a homepage that allows you to sneak in your favorite photo folders at times? At PortalPanel we constantly look at ways and means of improving your productivity by better planning and organization. PortalPanel weather widget has recently got a major improvement. All users can now have access to five day weather forecast with minimum and maximum temperature for each day.However we have not kept things limited just to adding five more days to your planning days. For real planning you can go to our calendar which has been quoted by many to be one of the best and most user friendly calendars available on line. The new changes on calendar, allow users to go to their account settings page and simply change the calendar default view to weekly or monthly. Thinking of how and where to import your google bookmarks after Igoogle shuts down? Portalpanel, as one of the best alternatives to Igoogle, among its many useful features provides you with the best solution to import your google bookmarks. Nov.24How to create an Instagram album On PortalPanel. › Visit the archives for more!